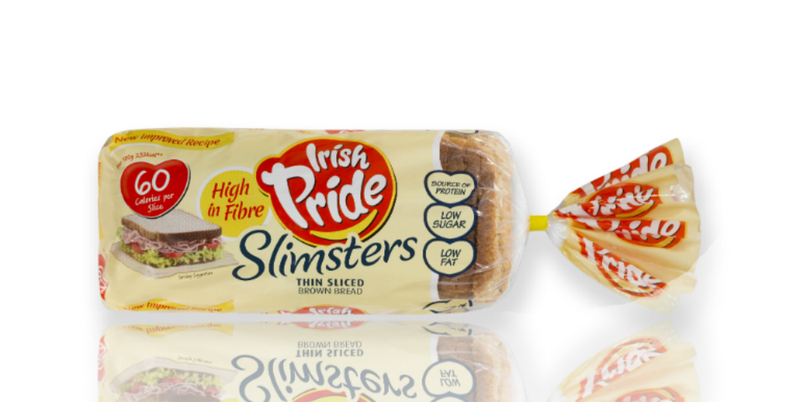 Irish Pride Slimsters is a delicious brown bread and with our new and improved recipe, it is now High in Fibre. Each slice has only 60 calories and unlike other low calorie breads, this loaf offers you a full size slice so you can get maximum enjoyment and satisfaction from your lunch. Say hello to bread again! This product contains Wheat, Wheat Gluten and Soya Flour and may contain traces of sesame seeds.